Officers were called to Fairview Road at 9.08pm following reports a man had been stabbed. The man is currently in hospital but his injuries are not thought to be life-threatening. A second man reported minor injuries but they were not thought to be serious. Police were also notified that a vehicle had been damaged on Harper's Lane at the same time. It is believed the two incidents are linked. Detective Constable Tony Gravener from Guildford Criminal Investigation Department said: “We are taking these two assaults seriously. I would like to reassure the community that we are following up on a number of leads to establish exactly what happened. 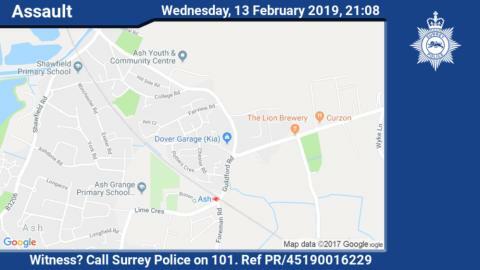 Anyone with information can call us on 101 (999 in an emergency) or report it online via http://surrey.police.uk/TellUsMore , quoting reference PR/45190016229.